Well, tonight is our last night at Indigo Bluffs, and we’re going to miss this place — great location and lots of nice neighbors. Our neighbors were from all over (Texas, Virginia, Florida, Massachusetts, . . .) and shared interesting stories of their lives and travels. One women solo RV’d for a number of years, work camped, and traveled to Alaska. 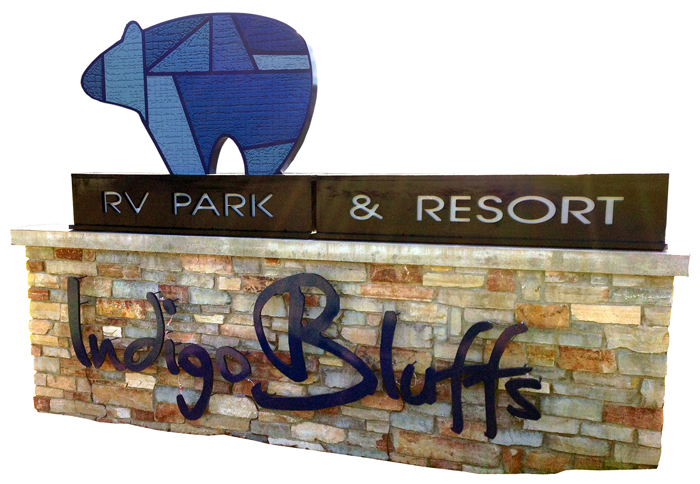 A couple of the folks bought sites at Indigo Bluffs. Jan and I were seriously considering it too, but decided not to as we’ve just started our adventure. However, there are bargains to be had here. We did a Sunday brunch and Monday lunch with these folks. Loved it. Here are some photos from Indigo Bluffs . . . Some more photos from Sleeping Bear Dunes and A Coast Guard Station . . . 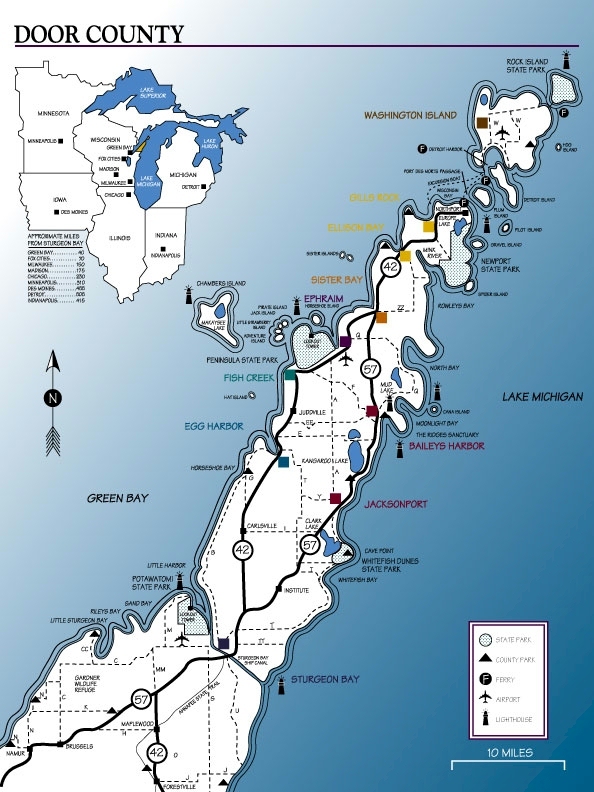 This area of Michigan reminds us of Door County in Wisconsin — great scenery, kinda “touristy” with lots to see and do. 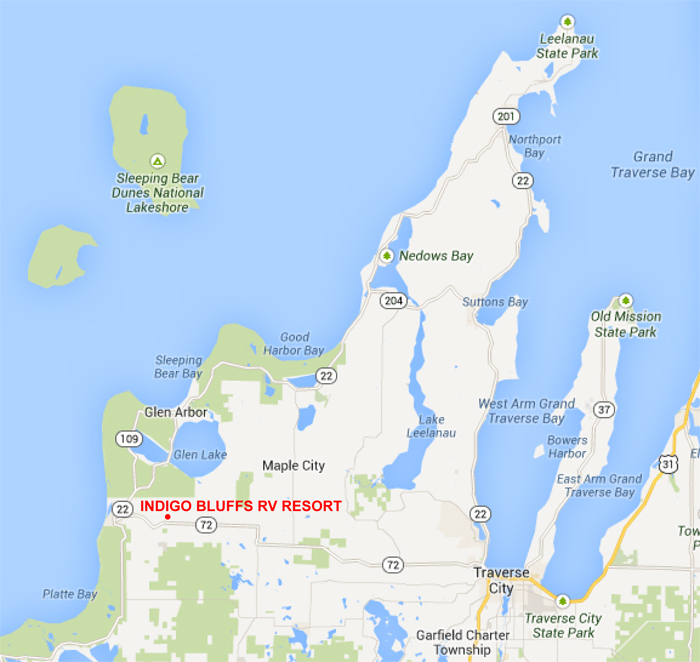 Wisconsin’s Door County is smaller, but has a lot to offer RVers.